For many when they first think of Fran Drescher, star of the 90's era hit "The Nanny," they remember the long dark hair, the brightly tailored outfits, the nasal voice and thick New York accent that endeared the Queens-born actress to a legion of fans. But Drescher's story continued long after the lights faded and television show ended. Her personal journey included a life-threatening cancer illness that inexplicably took years to properly diagnose. "I had uterine cancer. And it took me two years and eight doctors to get a proper diagnosis," says Drescher. Uterine cancer is the fourth most common cancer in women in the United States, and is the most commonly diagnosed gynecologic cancer, according to the Centers for Disease Control and Prevention. But today that's far in Drescher's rear view. This month... 18 years ago this very day in fact, Drescher became cancer free. "Even after that much time, by the grace of God, I was still at Stage 1,” she says. Drescher says once she was finally properly diagnosed and treated she's been healthy ever since. "I got cancer and I lived to talk about it. So that’s what I do." It’s not just what she does, Drescher now calls cancer prevention awareness her life’s mission. Not long after she went into remission Drescher founded the advocacy organization Cancer Schmancer in an attempt to shift the nation's focus from just simply searching for a cure to cancer to prevention and early detection. Her goal is to educate and inform consumers how they can improve their odds of avoiding cancer altogether by being more responsible about the products they purchase. "Most cancers are due my a cacophony of carcinogens and toxins in the home. It’s a big platform for my organization," she says. "We want to transform patients into medical consumers and teach them to be more knowledgeable and empowered." Drescher is bringing that message to the masses. On June 23 and 24, she'll be participating in the sixth annual NBC4/T47 Health & Fitness Expo at Metlife Stadium. One of the tri-state’s largest open-to-the-public health events, families have access to health screenings and get a chance to meet some of their favorite Giants players and talent from NBC 4 New York and Telemundo 47. For her part, Drescher is adamant in her belief that while cancer may not be completely preventable, people can take a more active role in controlling if they are afflicted by the disease by the important life choices they make. “It's a call to action. It makes people feel less helpless and hopeless that cancer is coming to attack them and there’s nothing they can do about it," she says. "I think its entirely to your advantage to detox your life. There are carcinogens in things that will effect different people differently in everything from toothpastes and deodorants to perfume. There's no downside to limiting tour exposure to toxins that are bad for your health." 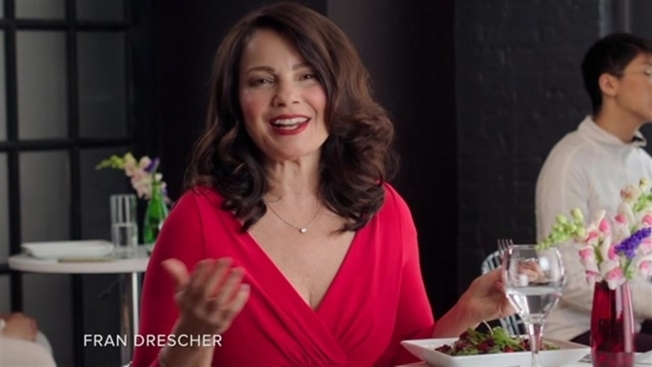 COZI TV, which is currently airing vintage broadcasts of Drescher's show "The Nanny," has also partnered with Cancer Schmancer to create and produce a series of PSAs running across the country. Although decades removed from the show, Drescher still has fond memories of the show that made her a star. "It was a big break hit. From very first day we drove onto the lot and you waved through and find your very own parking spaces with your name on...you know you've entered a new chapter in your career. It was very exciting, she says. "The global message of the show was no matter what you looked like or what you sounded like it was what was in your heart that counted. You had a woman that was not highly educated and did not speak the King's English who became the heart of a family that was fractured." And Drescher, who's currently starring in the new animated movie, "Hotel Transylvania 3: Summer Vacation," hasn't ruled out a revival for everyone's favorite nanny in this golden age of TV revivals. "There’s always a chance. I never say never," she said. "It’s not what I’m working on right now. I’m working on something with Peter Mark Jacobson (co-creator of "The Nanny") that fans will be very excited about, but I’m not at liberty to announce it right now," Drescher said during an appearance on "Today" Thursday. Catch episodes of "The Nanny" weekday mornings at 10AM/9C or weeknights at 7PM/6C and 12AM/11C on COZI TV.